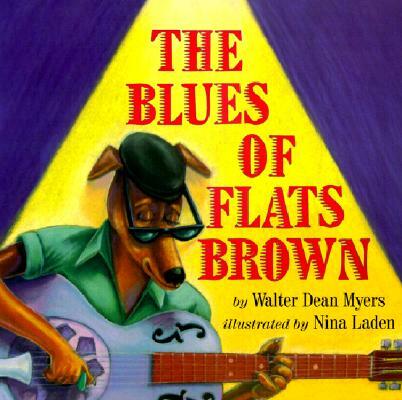 A runaway junkyard dog makes a name for himself playing blues guitar. Walter Dean Myers (1937 - 2014) was born in Martinsburg, West Virginia. He was one of the premier authors of books for children, and received numerous awards including the Michael L. Printz award and the Coretta Scott King Award. Nina Laden is the author and illustrator of the bestselling "When Pigasso Met Mootise" and "The Night I Followed the Dog." She grew up in the New York City area but now lives in Washington State with her husband and three stepsons. Like Flats Brown, she plays blues guitar.